You are at:Home»Life»Community»Waste Not, Want Not: Where to recycle, donate, or sell your stuff when you leave Beijing! Waste Not, Want Not: Where to recycle, donate, or sell your stuff when you leave Beijing! 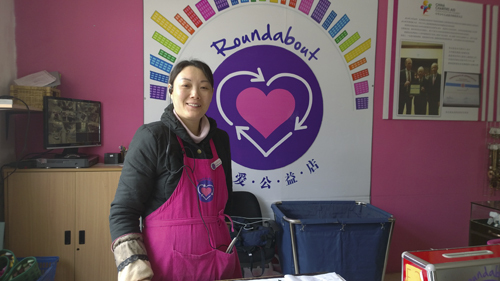 Founded in 2008, Roundabout China is well-known among expats for its various charity projects. Roundabout sends collected funds and donations to those in need, including sick children and under-resourced orphanages. The social enterprise accepts a range of items for its store and projects, including gently-used clothing, toys, blankets, storage containers, and baby equipment. Roundabout keeps an updated list of currently-needed items on its website. They offer pick up services as well for bulky items you might want to donate. Apart from their warehouse and store in Shunyi, they also have bright and eye-catching drop boxes located at multiple places in the city for your convenience, should you not want to drive all the way to Shunyi. These wonderful new donation boxes are now out and about in Beijing, and you can drop off small donations in them. Here is an updated list of some locations along with their phone numbers. Visit www.roundaboutchina.com to find out more. Expat publications like the Beijinger (beijingkids’ sister magazine) and City Weekend have classified sections on their websites with categories like bikes, clothing, electronics, furniture, and more. Though a login is needed, the service is completely free. Founded in 2005, Freecycle Beijing is a Yahoo group that is open to all who want to ‘recycle’ that special something rather than throw it away. This group is part of The Freecycle Network, a nonprofit organization and a movement of people interested in promoting community involvement, reducing consumerism, and keeping viable items out of landfills. By following a few simple rules, members can post ads for things they no longer need and others will claim them for free. It currently has over 1300 members. Membership is free. To join, follow the prompts at groups.yahoo.com/neo/groups/FreecycleBeijing/info. Founded in July 2009 by Nathan Zhang, Brandnu is a social enterprise that works with migrant women, using second-hand clothes to create upcycled fashion. It is essentially a charity store which employs disadvantaged women. The shop accepts donations of clean, gently-used clothes. Call the donation hotline at 153 1300 8571 (Chinese only) to find out more. This article originally appeared on page 63 of the 2016 Home and Relocation Guide. Click here for your free online copy. To find out how you can obtain a hard copy, contact distribution@truerun.com.